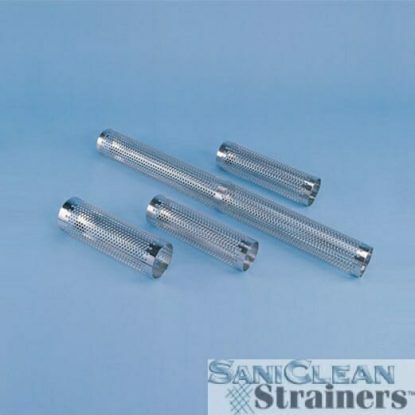 The Perforated Support Cores/ Back-Up Tubes are fabricated using 316L SS sheet. The sheet is punched with either 1/8″ or ¼” diameter holes. There are no partial holes around the edge of the sheet. The punched sheet is rolled using a mandrel to assure a consistent diameter throughout the length of each back-up tube and from one back-up tube to another back-up tube.